Posted on April 23, 2015 by admin Posted in Pork, Recipes	. 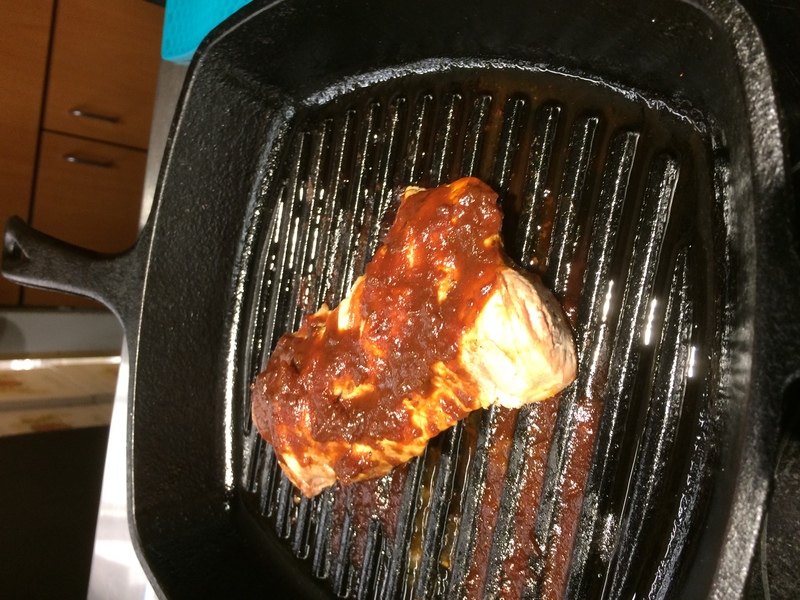 Place pork tenderloin on roasting pan. Sprinkle with salt, pepper and olive oil. Bake for about 30 minutes, then cover with Bentley’s Batch 5 BBQ sauce. Bake another 10 – 15 minutes. Tags: Bentley’s Batch 5 BBQ Pork Tenderloin	.